With the slow cooker started in the morning, dinner is ready when you are! In a mixing bowl combine chili powder, garlic, chili sauce, ketchup, Worcestershire sauce, mustard, and black pepper. Coat brisket all over with seasoning mixture. Place onions, carrots, potatoes, bay leaf and beef broth in bottom of a slow cooker. Add the brisket and top with any remaining seasoning mixture. 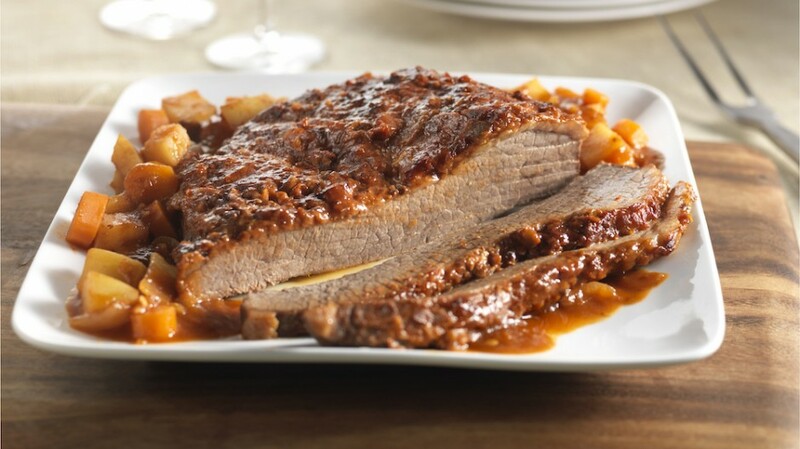 Cook on LOW in slow cooker for 8 to 10 hours or until brisket is tender.